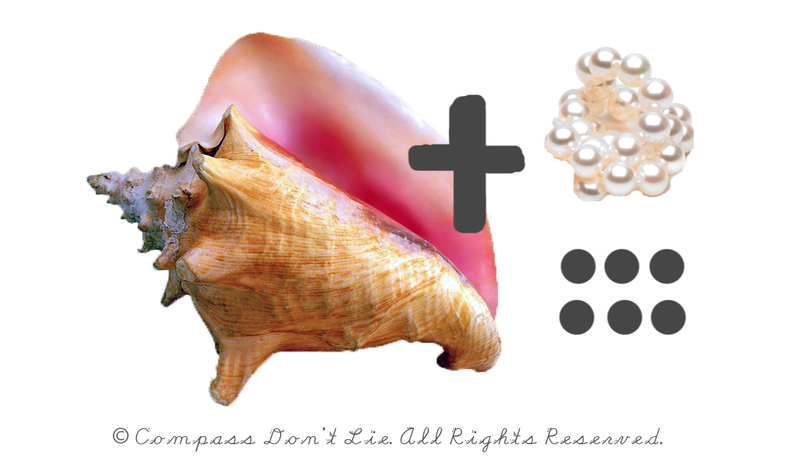 What would you do with a conch shell and some pearls? What sort of ideas come to mind to your mind? Well, a certain fashion icon put the two together, beautifully... and it's been on my mind ever since. Why? Because I can't stop from recalling a presentation I attended by Frans Johansson this year. Three words: DIVERSITY DRIVES INNOVATION. The best ideas emerge when very different perspectives meet. It is then that an idea can change the world. Mr. Johansson, writer of The Medici Effect, made it very clear to me that day. When you connect different ideas, cultures, and disciplines, you create new possibilities. This is where the magic happens. And so for Mr. Karl Lagerfeld, perhaps he exercised the above principle during one of his exceptionally luxurious vacations. Could have been at any of the following locations where conch is commonly found, for example Bahamas, Turks & Caicos, or Puerto Rico. 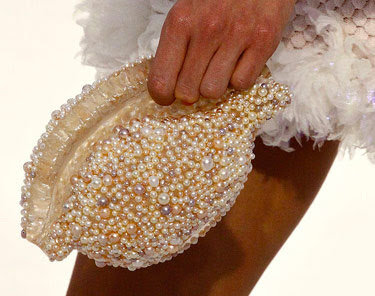 Next time you see an object, ask yourself this question: ¨what if?¨ only through experimentation of ideas (and likely failures and rejections) will you see new connections (conch shell pearl bags)... OOooo the endless possibilities!